Editor’s note: This was contributed by Elliott Zaagman a trainer, coach, and change management consultant who specializes in aiding Chinese companies as they globalize. To contact him, check him out on LinkedIn, or add ezaagman on WeChat. If you’re anything like me, you watched the most recent season of Game of Thrones on a smartphone or laptop screen. The reason? Convenience. I’d watch episodes at a café between meetings, or lying in bed at the end of the day. Is it the best viewing experience? No. But I tolerate it. A Shenzhen startup wants to change that. 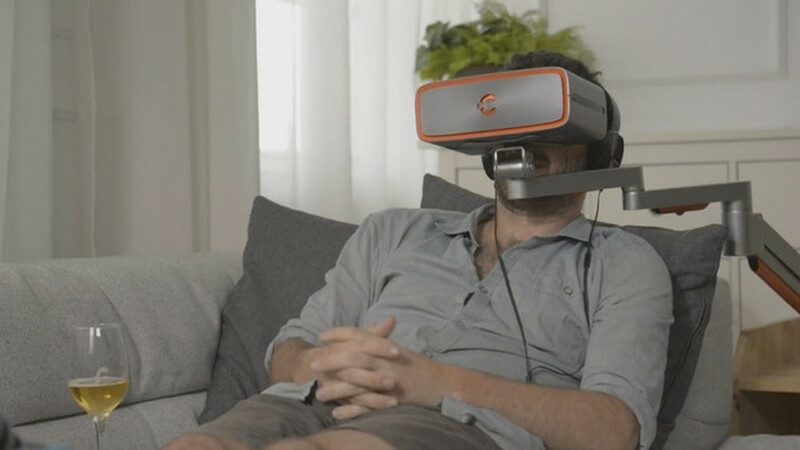 Founded by a group of film enthusiasts, Cinera looks like a VR headset, but if you call it “VR” in front of any of their employees, they will quickly correct you. VR is for games. This is for movies. “It’s a personal cinematic experience,” explains Cinera’s founder and CEO Peter Lin. Lin describes the headset as “IMAX on your face.” This, he says, is because its 66-degree display is nearly as wide as the 70 degrees of an IMAX screen, and far more expansive than the 54 degrees of most cinemas. It boasts dual 2.5k screens which, according to the company, provide three times the clarity of cinema screens. The device can play either standard or 3D content, through HDMI, USB, micro SD, or its built-in Android system. The idea has already created some buzz. In August, it wrapped up a surprisingly successful Kickstarter campaign during which it received over $250,000 from 532 backers, beating their $50,000 goal by over 500 percent. In developing Cinera, Peter Lin and his team seemed to be faced with a dilemma: “If we made a heavier headset, it would be less comfortable for the user, but if we made the headset lighter, we would lose image quality,” explains Lin. Despite Cinera’s surprisingly successful Kickstarter campaign, its biggest challenges are still ahead of it. Despite all the buzz around headset-based entertainment, few products have been able to gain traction with a loyal user base. 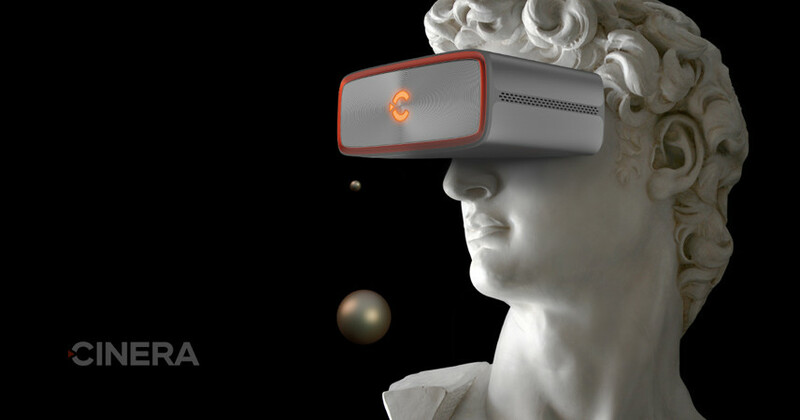 In order for Cinera to buck this trend, they will need to connect with a passionate group of film-lovers, and with deep pockets-the “early bird” price for the headset is $449, with an estimated retail price of nearly double that.